It’s often hard to tell how transformation is going. The bigger the transformation, the harder it becomes to assess and keep track of it. So when the Home Office executive committee asked us for a clearer picture of how our journey was going - how it was really going - we tried something new. The executive team felt they had a clear picture of our big technology programmes, but they wanted to know more about everything else: the people, the culture, all of the other aspects of transformation that are harder to put a ‘red-amber-green’ rating on. In short, they wanted us to develop a tool to support a different type of conversation. One of our non-executive directors suggested a maturity matrix, which she said worked well in the private sector. We looked at different models, but none of them was quite right. 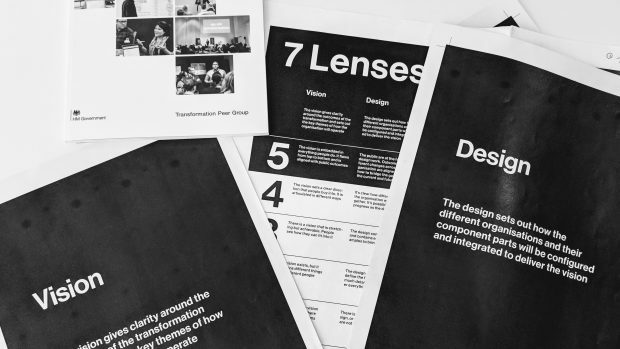 Then the cross-government transformation team shared the 7 Lenses of Transformation with us. We liked them straight away. They were a rounder way of looking at transformation. We especially liked the helpful focus on culture, as well as the more technical aspects, which was exactly what our executive team said we had been missing. So we decided to use the 7 Lenses as the basis for our tool. We had two principles to guide our work. First, we started with our users. We created the tool in collaboration with lots of different people - people in our department who were experts on each lens, people with private sector experience, and our colleagues in the cross-government transformation team. And second, we wanted it to spark ideas - to help people have the right conversations - not be a prescriptive plan. We did not want to pretend we were the only people who had the answers. It was more important to help our transformation colleagues reflect on their progress, assess themselves, and come up with solutions together. We tested an early prototype. 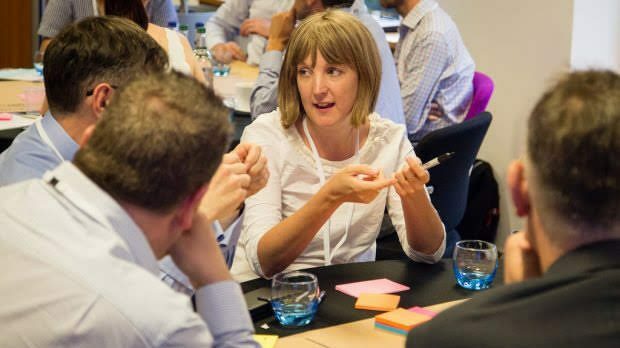 We ran a pilot with one of our business areas to get a sense of how it worked, whether it was useful, and whether it was having the right outcome. They did not love it. The main sticking point was that it was too complicated. So we went back to the drawing board and started work on a simpler grid that presented the ratings for each lens on a page in an easy-to-understand way. 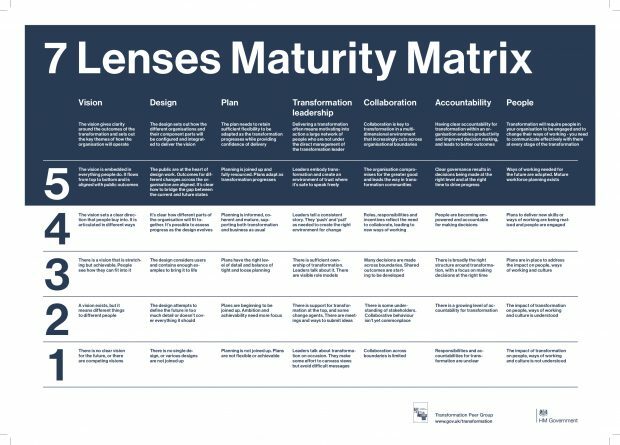 The result was our 7 Lenses Maturity Matrix, which we are proud to share with you and hope you’ll find useful. Directors and their teams in all areas of the Home Office used this tool. As well as talking about where they were, they also assessed where they wanted to be in 6 to 12 months. In every session we ran, we stressed that the conversation was more important than the score. We encouraged honesty and brought out ideas for how to keep improving. We did not want people competing for high scores or skewing the results. We were worried that people would score themselves too high, especially if their scores were being shared. But in practice, we found the opposite. Some areas were actually too harsh on themselves. When the results came back to the executive committee, we anonymised them. We presented overall scores, trends, and areas of weakness but did not single out specific business areas. As a result, people were more honest when using the matrix and talking about next steps. The conversations the committee had on the day were an honest look at where the department was and where it needed to be. Using the matrix encouraged them to reflect on our plans to get us to an agreed future and whether the department’s work was right for each lens. Overall, it was a real success, and they left the room with a collective assessment and a direction to work towards. At first, your discussions may feel a little uncomfortable. Ours did at the beginning. When assessing something of this importance, you may want to reach for hard evidence and statistics. However, transformation by its very nature has a significant unquantifiable element. We found trying to think in that way did not help reach the right insights. It was critical to keep reminding directors and their teams - and ourselves - that the exercise wasn’t competitive or comparative. The discussion about your level of maturity, where you want to be, and how you get there is the most important part - not the number you end up on. 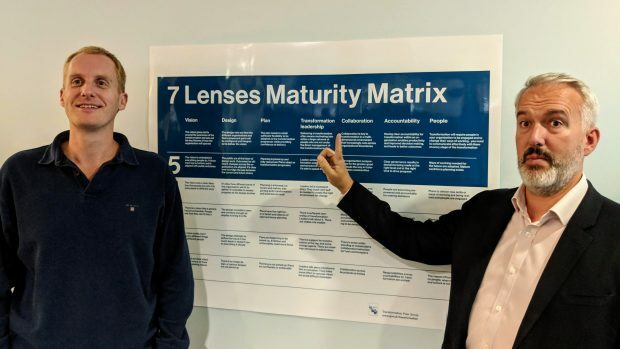 We hope you find the 7 Lenses Maturity Matrix useful. Download it, use it in your team, and start a discussion of your own. Let us know your thoughts and if you have any feedback by emailing the cross-government team. We’ll be working with them to update this and provide more information behind the maturity ratings over the coming months.